Do you want to see the countryside from bird’s eye view? Experience the joy of sheer freedom? Surprise your loved ones with a special gift? 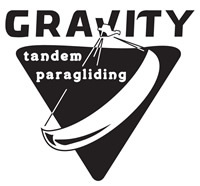 Are you interested in paragliding but you want to fly with an experienced pilot first? 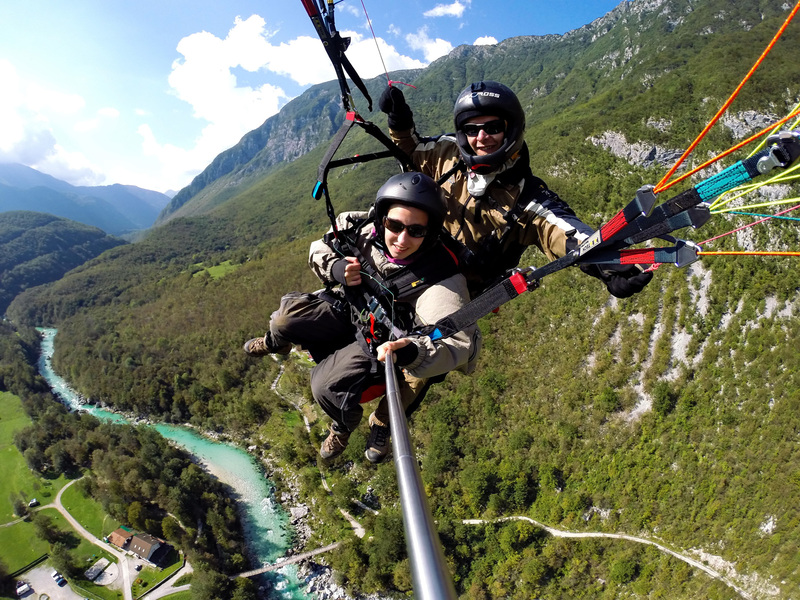 We offer tandem flights from one of the most beautiful parts of Slovenia, upon your request. For this unique experience you don’t need any preknowledge or special equipment. Only a desire to fly which can later become your passion. Because paragliding is a sport, highly dependent on the weather, we only perform tandem flights in safe ideal weather conditions. For this reason it is difficult to plan ahead. Experienced and licensed pilots take you to one of the nearby take-offs, suitable to the weather of the day. Pilot provides all the necessary equipment. All you have to do is dress for the weather and wear trekking boots. Before take-off, pilot will provide basic instructions, together you will run a few steps and before you know it you’ll be airborne. During the flight your hands will be free to use your camera. A camera can be operated by the pilot upon request. Flight duration highly depends upon the weather conditions, but in average each flight lasts approximately 30 minutes. 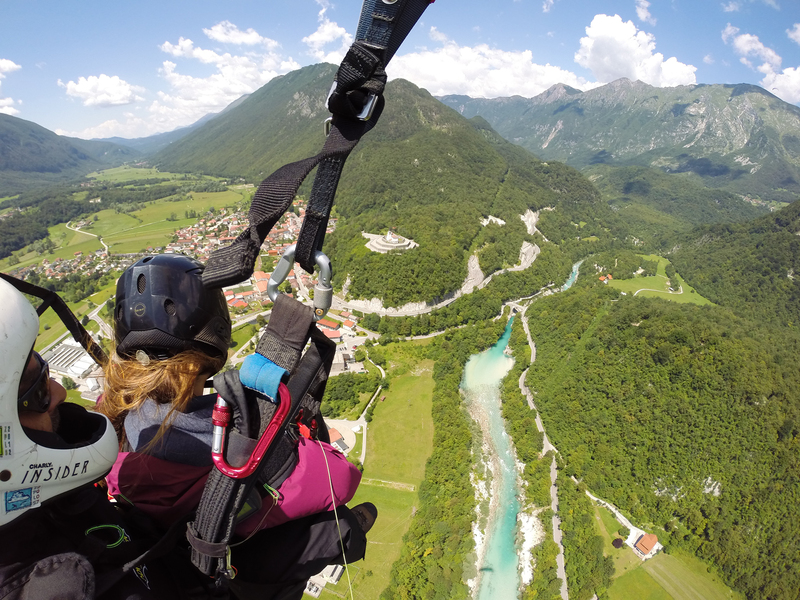 Favourable weather conditions, the beautiful emerald Soča River and the Julian Alps attract pilots from all over the world. Do you want to admire this natural beauty? Do it from the air!